Vicchem 294 is a liquid potassium soap solution in water. 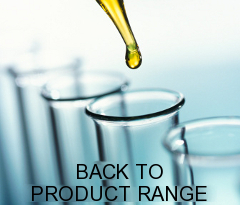 VICCHEM 294 is a pale yellow liquid with a bland odour. VICCHEM 294TM is a liquid potassium soap solution in water. Readily Biodegradable and derived from natural vegetable oils means that it will have a low environmental impact. When stored indoors at temperatures below 40°C and in closed original containers, this product can be stored for at least 1 year. Refer to MSDS at www.vicchem.com for further information.